It's time to pick a side: which type of fussy eater will you be? 'Hi, I'm Andrew, and I'm a flexitarian." So goes a scene from the support groups for former food fad addicts that will surely take place in the not-so-distant future. We will wake up, smell the organic oat milk coffee and realise we have been conned. Conned by shiny, beautiful Instagrammers, bloggers and TV chefs extolling the virtues of plant-based, Paleo and free-from diets; of five-minute meals and 25-ingredient dinners; of dirty food, clean food and whole food. But until that blessed day comes, the only way we're going to survive is to make like the Hunger Games and pick a tribe. Helpfully, there is an almost infinite number to choose from. In fact, there have never been so many synonyms for "fussy eater"
According to the Agriculture and Horticulture Development Board (UK), plant-based diets are merely a passing fad and veganism remains a "minority interest" - in spite of the diet's apparent omnipresence. "By claiming their credentials as a vegan, young people believe this shows they are ethical, healthy and environmentally aware... the growth of veganism has partially been fuelled by the growth in Instagram," their report reads. Only one in 10 vegans has followed the diet for more than a decade, they add, while British meat consumption has risen from 62kg per person per year to 73kg since the mid-Eighties. The Vegan Society, unsurprisingly, has lambasted the "obvious bias" in the report, and continues to advocate the pulling power of plants. But how does a novice get involved? Flexitarianism, most likely, the lifestyle one in five of us now follows, which sees worshippers spend a few days every now and again (ie, when they remember/it suits them to do so) as vegans. Instagrammers such as Fat Gay Vegan (a Hackney-based, plant-espousing foodie) and Deliciously Ella have made veganism cool, steering it away from images of eccentric academics with shoes made of lentils. When it’s raining and cold in August and all you want is a warning bowl of veggie stew with spices, chickpeas, sweet potatoes and brown rice 🤗🤗🤗 Instead I have a Tupperware of chia pudding because that’s all I had time for, all human after all! Recipe for this one will be in the stews chapter of The Cookbook and it’s what I’m making as soon as I get home! Flexitarians have the best of both worlds - they are able to speak about environmental issues with a degree of smugness, but with the benefit of being allowed to sink a bacon sandwich or a wedge of Brie whenever they please. How, though, do you pick your tribe? First, do your research. Work out which crowd suits you best - assess what they wear, what their children are called, what their kitchens look like, what sort of "merch" they're selling, start following key figures on social media, and before long you will be a fully paid-up member of your clan. Two words: coconut bacon. This sort of delicacy that awaits the committed plant eater who can also be found tucking into "vegan fish and chips" or marinated banana blossom. They are a perky bunch who can be identified by the yoga mats gripped permanently under their arms, kitchen cupboards overflowing with nut butters, and fridges stocked with an obscene amount of kale. They are not, I repeat NOT, vegans. 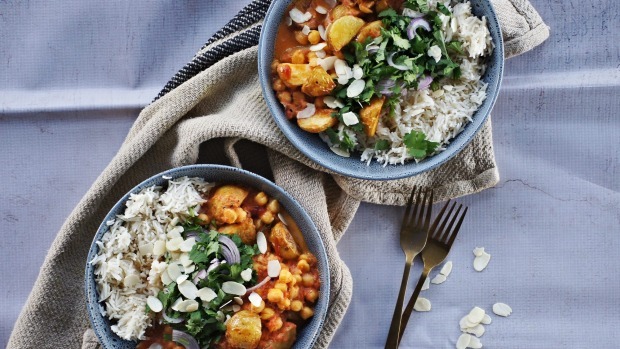 In fact, a plant-based diet could include the occasional helping of meat, but most of the time, your diet will be 85 per cent chickpea. They worship at the feet of... Deliciously Ella (Ella Woodward), queen of the plant eaters. 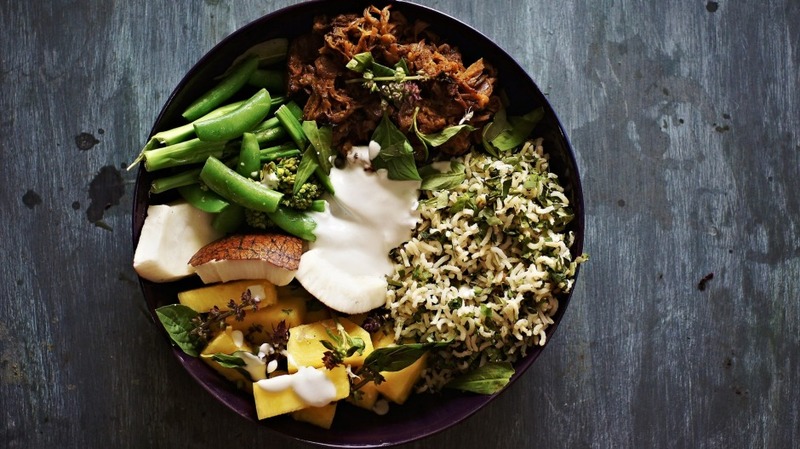 Desert Island Dish... A Buddha bowl. Not something Bridget Jones would smuggle back from Bali, as the name suggests, but rather a dish of grains, topped with various chopped vegetables, sprinkled with seeds and drizzled with tahini or coconut yogurt. Followers of the Paleo way of life believe our bodies have not evolved to properly process most of the foods we now consume. Refined sugar, dairy, salt, root vegetables, grains and legumes are all verboten. Instead, protein is the name of the game, with lots of fish, meat, fruits and vegetables making up a diet the cavemen would apparently have approved of. A glance at a Paleo Instagram account would suggest the cavemen were scarfing rather a lot of wild salmon wrapped in prosciutto with grilled peaches. They worship at the feet of... Michelle Tam. With 435,000 followers on Instagram, Tam is the undisputed leader of the Paleosians (NB: not a real term), creating menu plans for mums on a mission to feed their little cave children. Desert Island Dish... Turkey bolognese on a bed of courgetti. Spiralizers were very big in the Paleolithic period, apparently. They may not be slaves to their waistlines, but they are addicts, just like the rest of them. They have a series of dealers - there's the Middle Eastern shop where they get huge packets of sumac, za'atar and ras el hanout; the butcher who can get them a few pounds of merguez at a moment's notice; and the expensive grocer where they go for Amalfi lemons and heritage tomatoes. They spend weekends marinating Wagyu beef, and then going on about it. They worship at the feet of... Ottolenghi. Oh, Yotam. You have brought us so much joy. But you've also made us unspeakable snobs. Desert Island Dish... Anything which features an ingredient most of your friends won't have heard of, and will take you three weeks to source. They are perhaps the most entrenched of the foodie tribes. Slightly fragile folk who have demonised normal human reactions to food, so that a touch of bloating becomes a gluten intolerance, a spot is a clear sign of a dairy allergy, a sore left foot the result of too many sulphites in the bloodstream. They worship at the feet of... Amelia Freer. Nutritionist to the stars, Freer has a diet free from gluten, dairy and refined sugar and is an expert in various things, including "gluten sensitivity" and "adrenal dysregulation". Nothing some bone broth and a green juice can't solve. Desert Island Dish... Raw sweet potato brownies. More vegetable than cake, but the free-from crowd go mad for them. They're #vegan and #glutenfree, don't you know.